Life isn’t simple anymore. Not that this is a shock to anyone with an adult’s perspective. It seems that everything has gotten so much more complicated, and while we burst through life determining what path to take that is right for us, we are constantly faced with decisions and truths that require a ‘turn on a dime’ change of direction. It’s just not like when we were kids. Of course, this isn’t a bad thing either. It’s nice to look at our past and see where we’ve ‘grown up’ even if, somewhere inside us, we still are surprised at the face that looks back from the mirror. I still can feel like I’m 12 again, or 24, or 30 and a brand new Mom. Of course I wish that I could still run barefoot from June to September, the sun hot on my skin and nothing more pressing in my day except where the next adventure would take root; I think about Kool-Aid, Popsicles and A&W Root Beer with a hard scoop of vanilla ice cream floating in it. 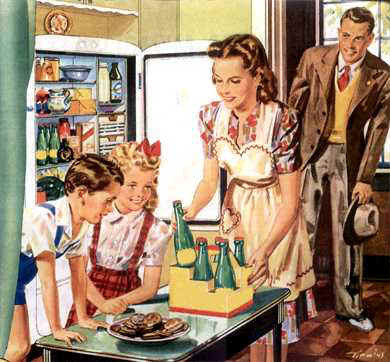 I think about one-room air conditioners, the smell of bed linens fresh off the clothesline and how it seemed so perfect to take a peanut butter sandwich outside to the backyard for a picnic. And while all of this speaks more to the carefree days of childhood and what I find I can no longer freely indulge in, it’s more than just a nostalgic turn; I think I just yearn for a time when I was blissfully unaware that life existed outside the realms of my neighborhood. With all the gloom and doom present in our daily media, it’s no small feat to try and close it out. And while I can grasp my adulthood fully with both hands and move ahead with the changing world, there still are times that I want something that reminds me of simpler days. Not too long ago I posted about finding plenty of nostalgia in a perusal of food blogs, and it got a conversation rolling with Jamie and Kristen about foods from our past. Kristen especially tickled me in a discourse we had over cream soups and some of the dishes we used to make with them, and part of what we talked about was that although these foods often have good memories attached to them, they aren’t all that healthy. Looking around me in the grocer, I had to wonder if it was possible to bring them back with less guilt, and possibly more flavor. 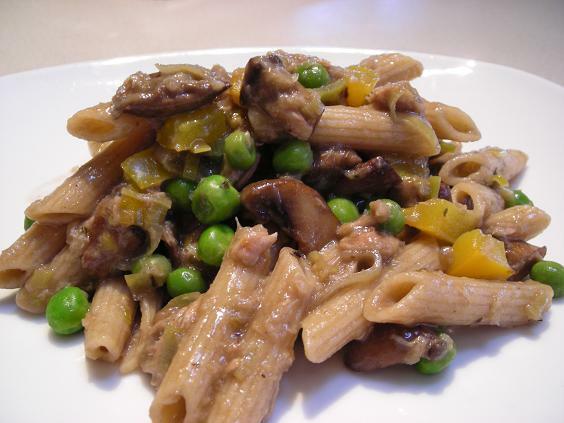 The ubiquitous Tuna Mushroom Pasta was a standard from my childhood; macaroni, canned mushrooms and tuna, cream of mushroom soup and a crush of potato chips over the top was a mainstay for dinner. No one really went “Ooooooh!! !” whenever it was presented, and I recall a time when I clearly told myself I would never eat it again. And in that representation, I never did. One good thing about following the flow of life is watching your food mature around you. I’m glad to be far away from the foods of my past, although it’s nice to think I can recreate them, but better. And more flavorful. 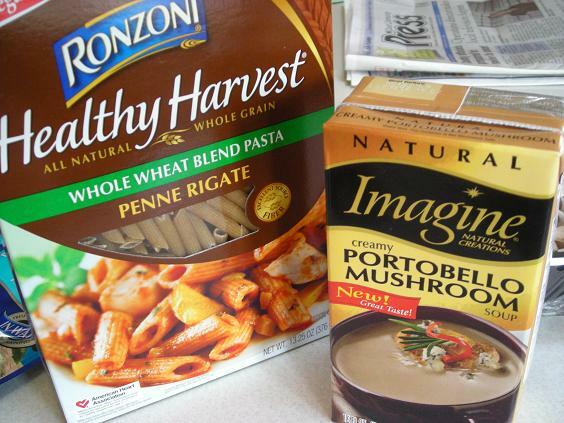 No one is chained to Campbells soups anymore; Amy’s Soups has a lovely creamy mushroom soup, Health Valley Organics makes a completely natural line of cream soups, and then there’s my favorite- this Portabello Mushroom soup from Imagine Natural Creations. When the desire strikes for a meal that not only satisfies my need for a little nostalgia, but also will bring smiles to both Mike and Griffin- who absolutely LOVES this dish- this is where I turn; better ingredients, and a more sophisticated method. Other optional add-ins: Toasted seasoned bread crumbs and grated parmesan cheese. 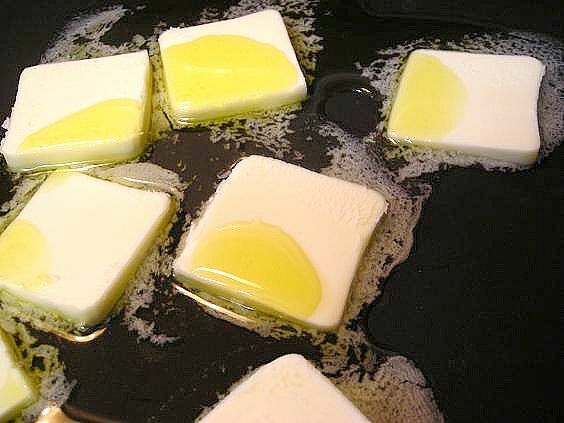 In a medium sized skillet, warm approximately 2 T. olive oil and 2 T. butter and add leek, cooking for about 15 minutes over medium heat, stirring regularly. 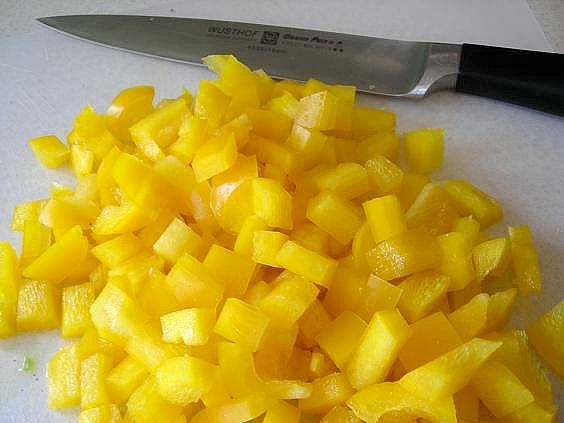 When soft and beginning to brown in spots, add in yellow pepper and cook for 5 minutes. Stir in garlic, reduce heat to low and cook, stirring occasionally for about 5 minutes. Stir in peas, cover and keep over low heat. In a separate pan, warm 4 T. of butter and 2 T. olive oil, add mushrooms and cook over medium-high heat, stirring regularly until mushrooms begin to release their liquid. If using, at this point add about 2 T. worchestershire sauce to mushrooms, along with a generous grind of black pepper. Stir to combine and continue to cook, allowing mushrooms to sear and brown. Drain pasta, reserving about a half cup of pasta water, but don’t shake off excess. Return to pan and add in soup, tuna, the leek mixture and the mushrooms. Stir to combine. Add in some of the pasta water if the mix is thick. Season to taste with salt and more fresh ground black pepper. This method, while a bit futzy, produces a very flavorful end result. By no means is it carved in stone. I do heartily recommend a separate pan for cooking the mushrooms, solely for the flavor it will impart, but in a pinch you can cook all the vegetables together. 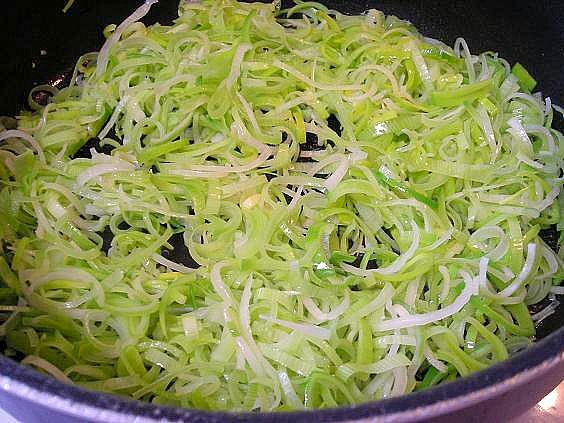 Regular chopped onion is fine too, it seems lately I’m kind of on a leek fix. Skip the butter if it isn’t your thing. My love for toasted bread crumbs knows no boundaries. I prefer Panko for this application, reserving the bread crumbs I make from scratch for use as a filler or bond. I mix about a cup of Panko with melted butter and some olive oil, then add in a multitude of dry seasonings such as dried basil, garlic and onion powder, fresh ground pepper, maybe some dried mustard and then heat them gently in a pan, stirring continually, until they are fragrant and browned. 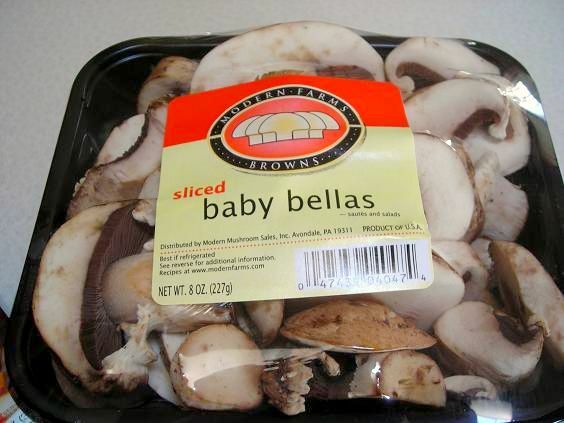 Be sure to remove them from the pan when they’re done or they will burn. They keep in the fridge for a while, although I’ve never determined exactly how long because I make up excuses to eat them. I’d eat yours over mine any day! Oh my, I can totally relate. Nowadays, I NEVER eat the kinds of foods that my mom cooked for me and my brothers when we were little; and yet whenever I go home to visit, I am strangely comforted by her Hamburger Helper and chicken cacciatore casserole! This pasta looks really good though… I need to find that Portobella soup– it looks like it could add a really interesting flavor dimension to lots of dishes! It might not be the beauty of cuisine but you can’t judge a book by its cover! I love this post! We absolutely did live the sam childhood and you brought it all back exactly, as well as the current yearning for those “good old days” in these complicated times. 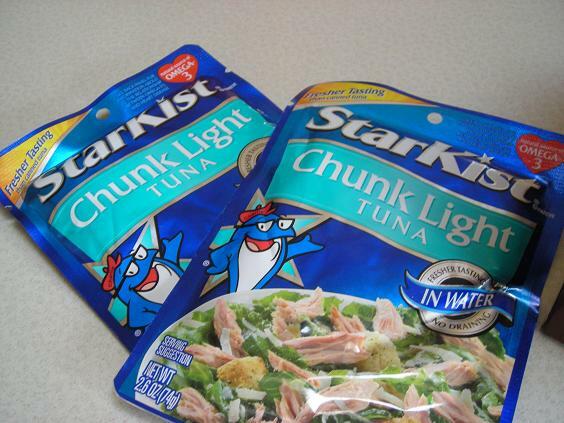 Funny thing is, my sister just sent me an e-mail this weekend asking me if I wanted the recipe for the 1960s version of the Tuna Noodle Casserole with the crushed potato chips on top (and I must say that it did indeed elicit “oohs” and “ahs” at our house!). I have really thought of trying a better, healthier version of this dish and I love yours. It does look so luscious and delicious!